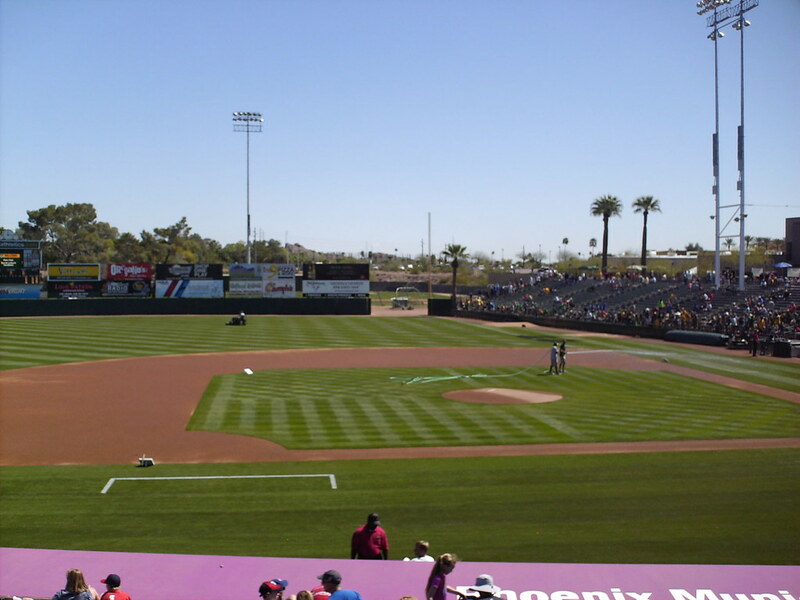 The view from behind home plate at Phoenix Municipal Stadium. 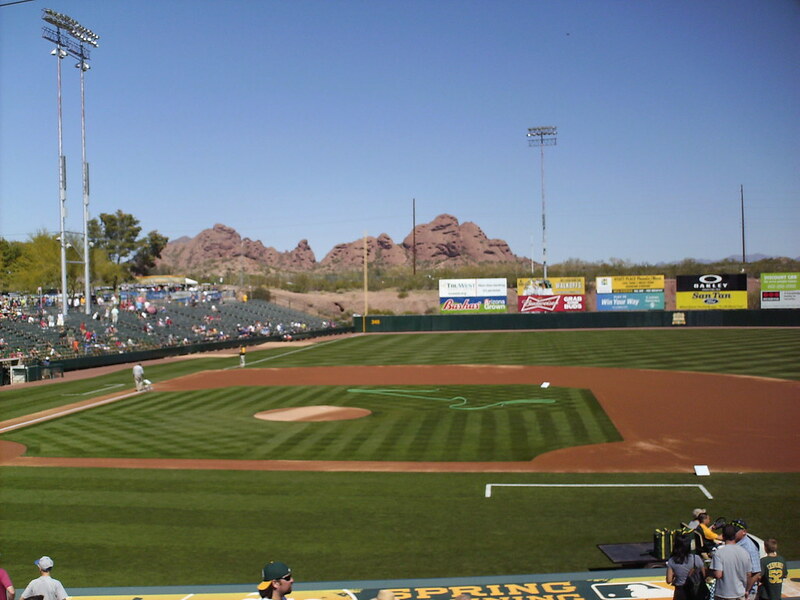 The view from down the first base line, looking out toward the red rocks of Papago Park. 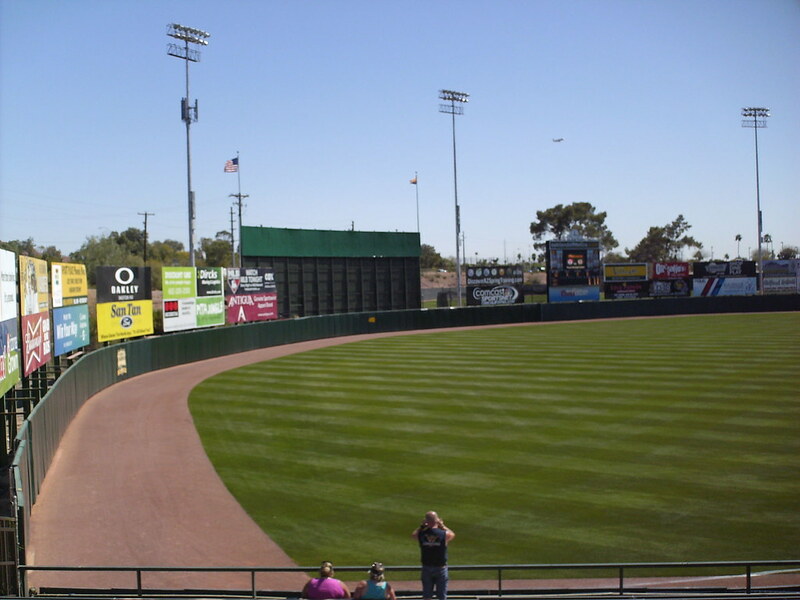 The grandstand at Phoenix Municipal Stadium, as seen from the right field corner. 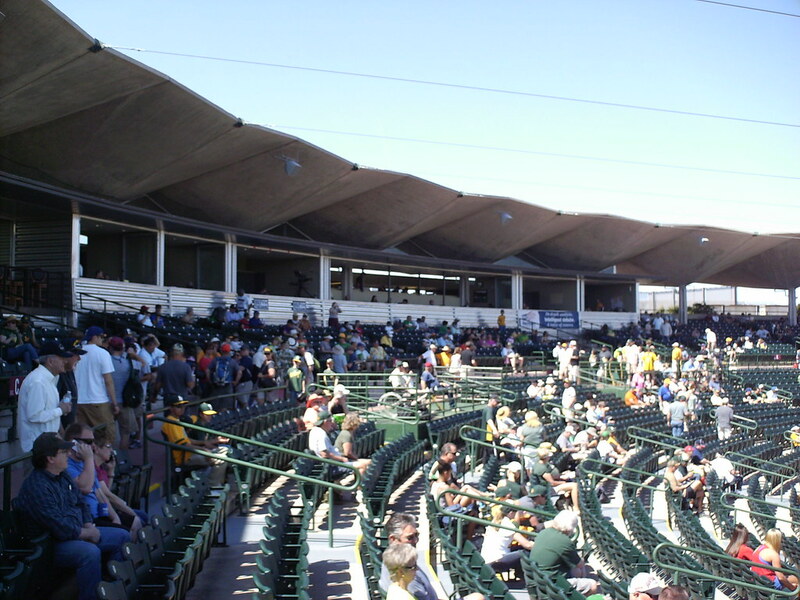 The corrugated concrete roof and the pressbox behind home plate. 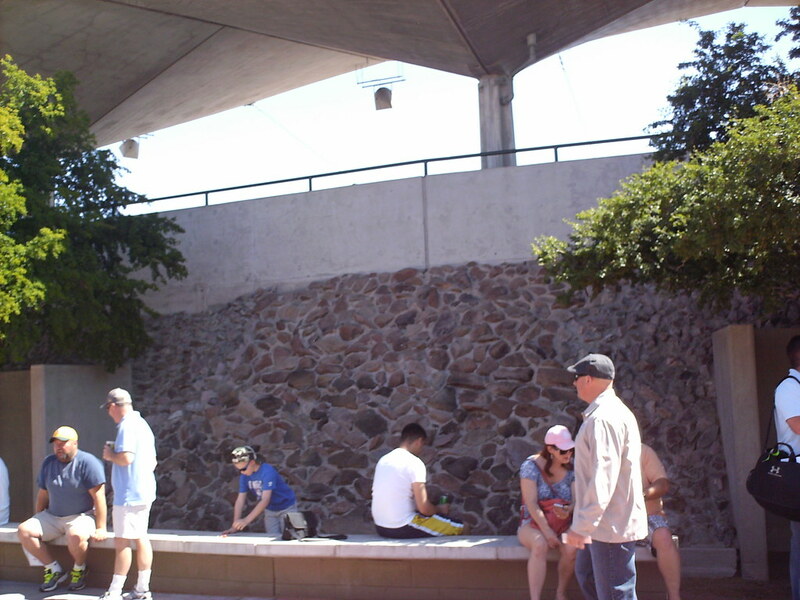 The concourse walls are lined with stone, giving the park an earthy, desert feel. 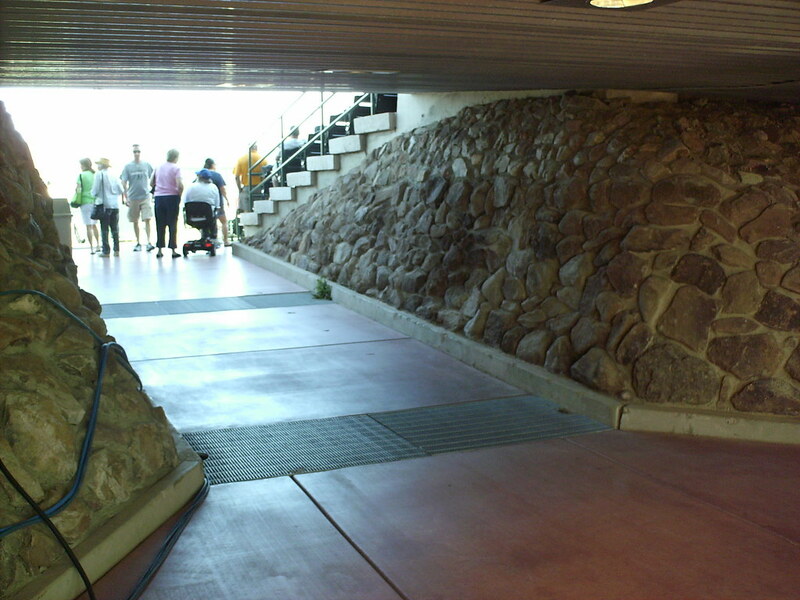 The entryways from the concourse to the grandstand. 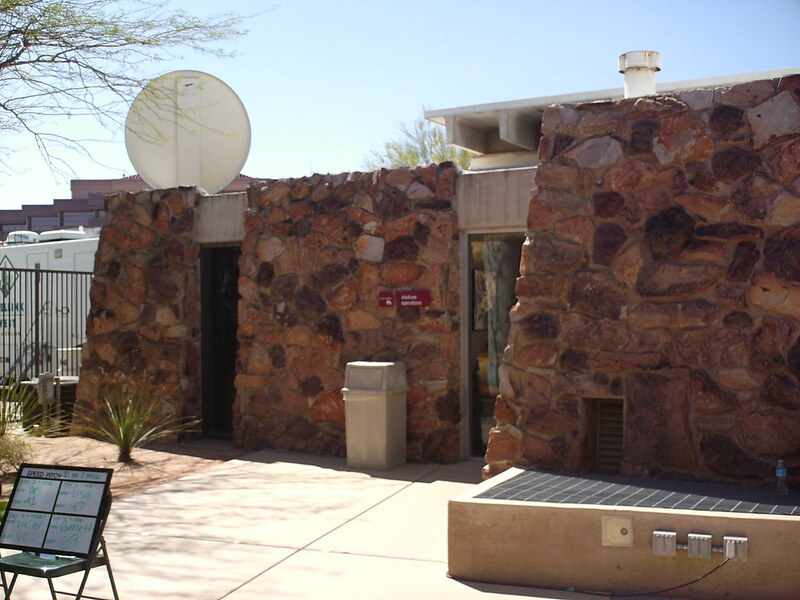 The stadium operations building is also covered in desert stone and blends in with the surrounding landscape. 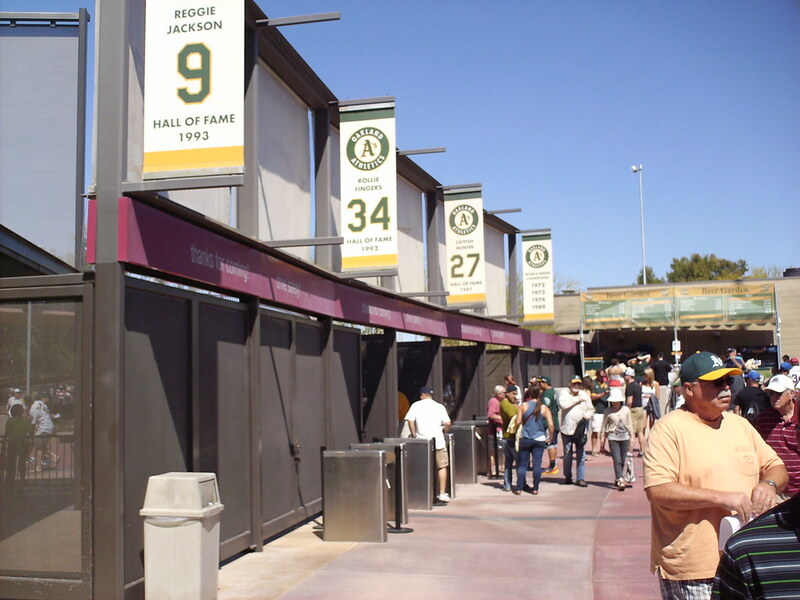 Banners along the concourse celebrate Athletics retired numbers. 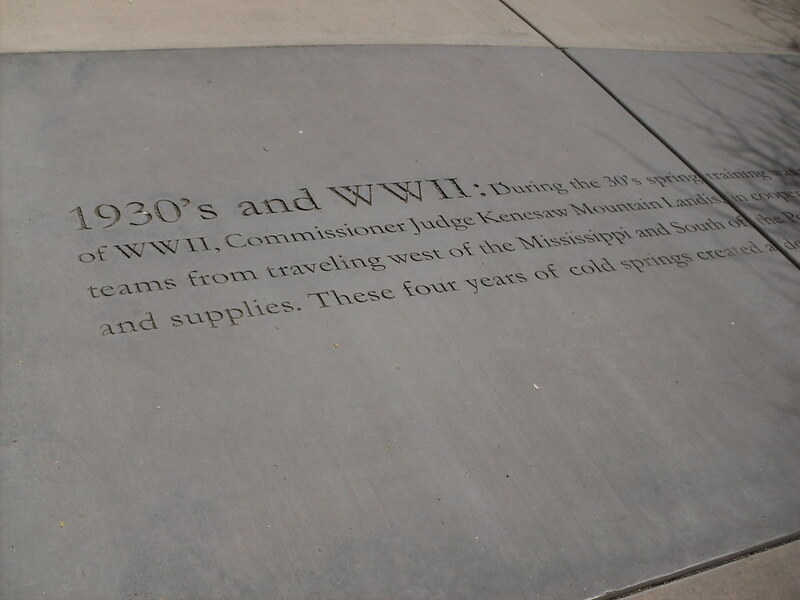 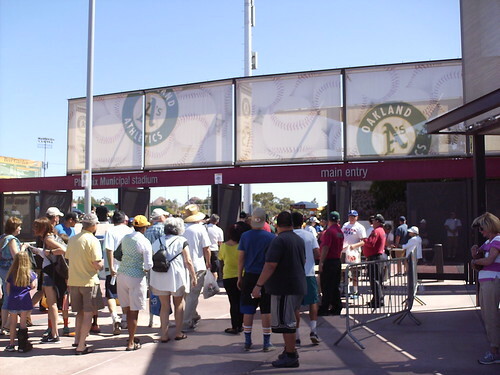 A timeline carved into the concourse tells the history of Phoenix Muni, as well as the history of baseball in the Phoenix area. 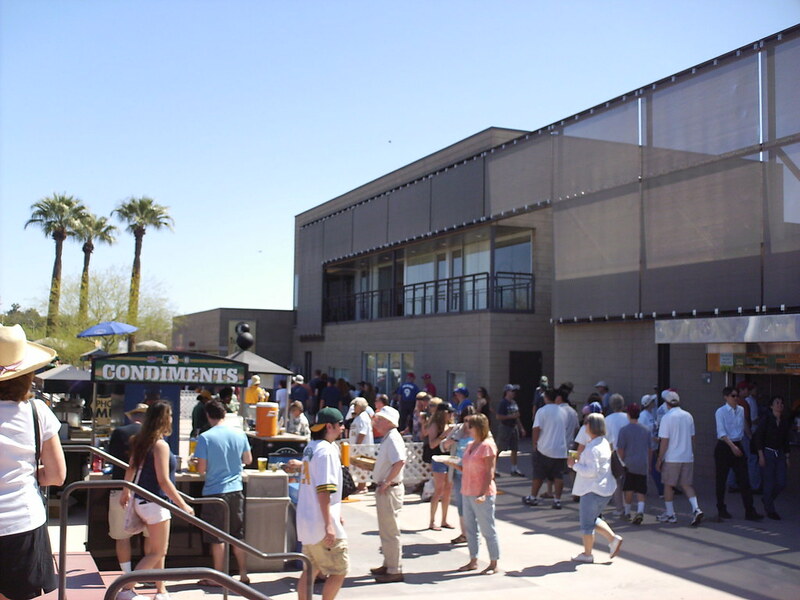 The clubhouse sits in the right field corner of the concourse, overlooking the field. 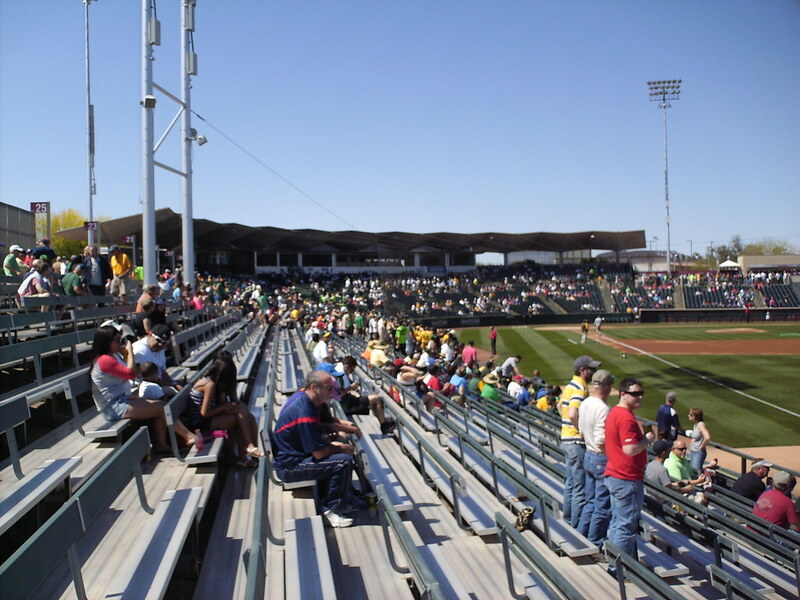 A grassy picnic area sits in the right field corner, raised up from the main concourse. 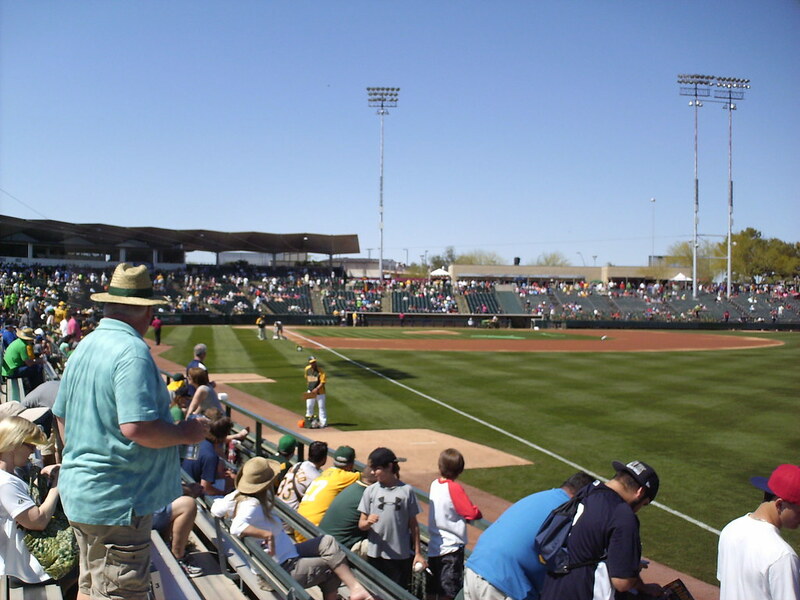 Most of the A's practice fields were located off-site at nearby Papago Park, but one practice field sits behind the outfield fence at Phoenix Municipal Stadium. 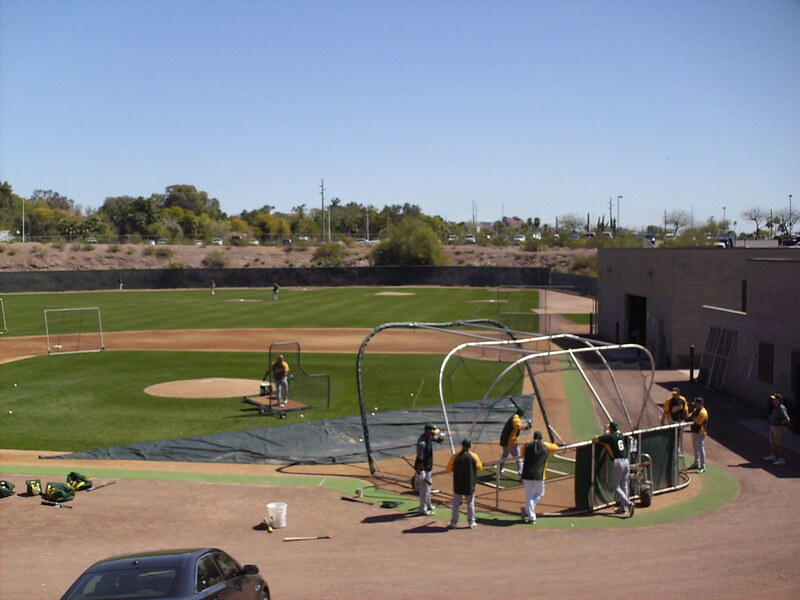 Batting cages located behind the right field fence. 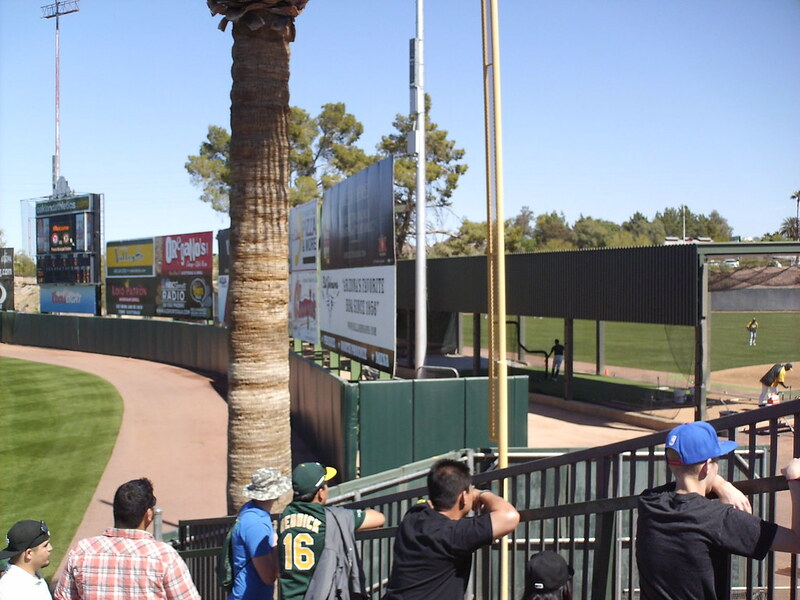 The bullpens are located down the lines in foul territory. 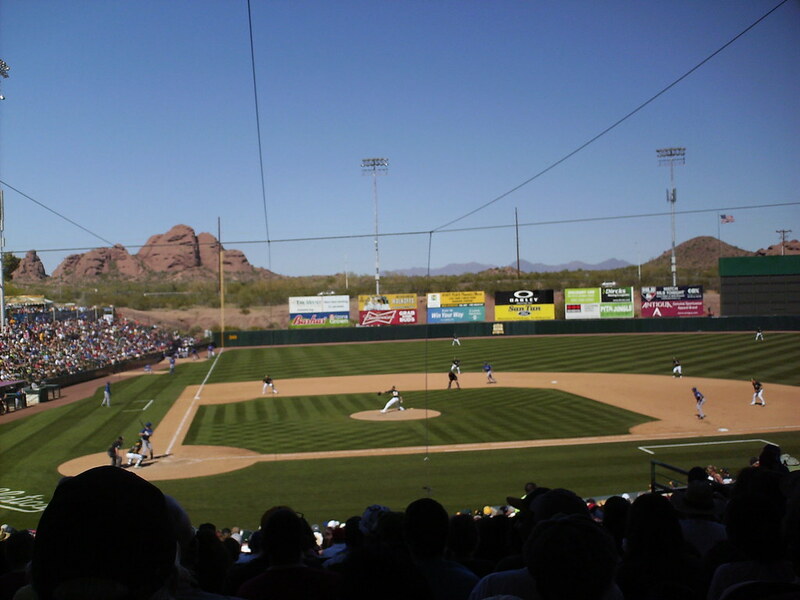 The light standards at the park were moved from Ebbets Field when the park in Brooklyn closed. 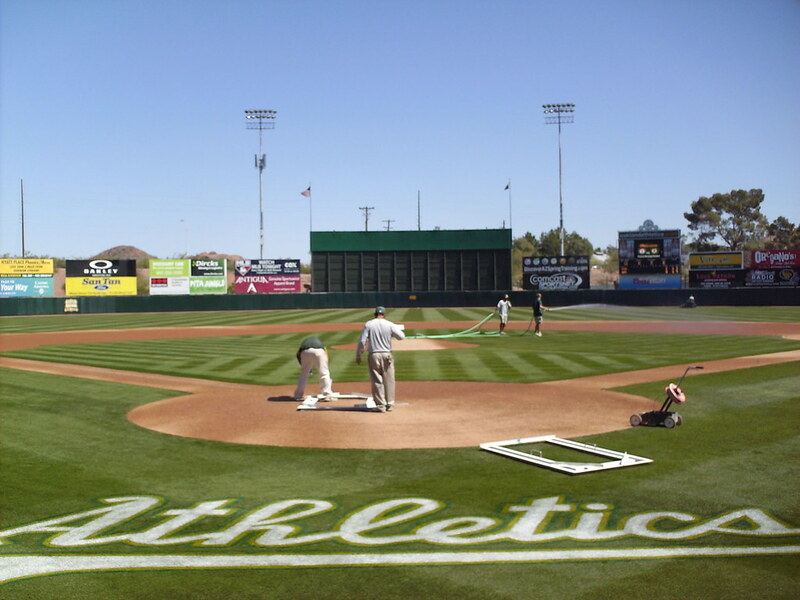 The Oakland Athletics on the field during a Spring Training game at Phoenix Municipal Stadium.